Although few women were active in the front line of the Great War, there can’t have been many who lived through it who were not affected personally, either emotionally or practically. The women in my family were no exception. Here are the stories of three of them. Raised in a Welsh coal-mining village, my maternal grandmother Peggy was one of nine children. Born in 1913, she was just a baby when war broke out. Her oldest sibling, Johnny, was not old enough to join the military legally, but so eager was he to enlist that he lied about his age. You could do that in those days: there were no computers keeping tabs on everyone’s personal details from the moment they were born. If recruitment officers had any suspicions about an applicant’s age, they were likely to turn a blind eye: their job was to sign people up. But lie Johnny did, and when he was killed in France in action, it must have broken the hearts of his mother and sisters, and probably many girls in his village too, judging from the charm of his sister’s son who I met when I was a child. Although Peggy was too young to have strong memories of the war, she grew up surrounded by her family’s grief and bereavement for its lost son. Their grief was compounded when her father was killed in a coalmining accident. They were spared from poverty only by her mother having the previous week been persuaded by “the man from the Pru” to take out life insurance. With so many children, she was not sure that she could afford the premium, but the insurance man kindly offered to pay the first week’s installment. I’m sure this dual loss forever shaped her attitude to her menfolk. For a start, she named her first son Robert John, her maiden name having been Roberts. I used to wonder why she spoiled her husband and two sons so much, waiting on them hand and foot, never letting them help with the washing up or other chores. She even did all the DIY tasks herself. One morning, when I was a teenager, I watched her pour milk dotingly on her husband’s cereal, and wondered at such unnecessary indulgence. Only after her death did I realise that she was still dealing with the loss of young Johnny and her father. She treasured her men, because she wasn’t confident how long they’d be with her. (To be fair, she was very indulgent to the girls in the family too!) It might also help account for why that side of my family is very matriarchal. Peggy died when I was 22 and she was much too young, just 69. Ironically, her beloved husband outlived her by five years. My maternal grandmother Lily was born in Rotherhithe, East London in 1900 – a year full of promise for the new millennium. A teenager during the Great War, she was a clever, level-headed girl, winning prizes for recitation, a much-admired skill in those days before television and radio. Lily’s father was killed in a docklands accident when she was just two. Her mother remarried when Lily was about 9, to a Cotswolds man who had come to London to join the police force. After leaving Grey Coats school in Westminster, Lily learned shorthand and typing at Pitman’s School in London, where one of her teachers was engaged to war poet Rupert Brooke. One day in about 1915, she arrived home to find her street cordoned off following an explosion at the nearby munitions store, Woolwich Arsenal. Unable to find her mother, Lily presumed she had been killed. Later that day, Lily was found running, hysterical, through the streets, by a policeman who recognised her as his colleague’s stepdaughter. He took her back to the police station to be reunited with her stepfather and they eventually found her mother safe and sound. It must therefore have been especially hard for the adult Lily when Britain declared war on Germany, two days short of her son’s (my father’s) seventh birthday. She and her three children were immediately evacuated to Todenham, near Moreton-in-Marsh, where her stepfather had retired to live with his second wife. Lily and her children stayed there for about four years, with my grandfather visiting when he could at weekends. Having been turned down for military service due to poor health, he had to stay in London, working as a clerk in the City. His part in the war was to serve as an ARP Warden in the evenings – near Woolwich Arsenal. How difficult it must have been for Lily, fearing for her husband night after night, as she had done for her mother. I was extremely close to Lily when I was a child and we spoke of anything and everything, but she never talked about the war. A wonderful mother and grandmother, she was content with her family and her peaceful lifestyle, and never liked to venture far or often from home. But in a different era, without those life-changing traumas, she might have had quite a different lot. Intelligent, witty and observant, she had all the right qualities to be a wonderful teacher, writer, broadcaster, or many other professions. Such missed opportunities, such unfulfilled potential are significant overlooked side-effects of war. Lily died aged 72 of a stroke, when I was 12. I miss her very much. When working as a cook in a large, wealthy household, she fell in love with the chauffeur. They were lucky enough to be able to afford to marry. But it was not long before war broke out, and her new husband went off to be a soldier. This happened so soon after their marriage that he had not yet informed the authorities that Edie was his next of kin. Consequently the dreaded telegram reporting his death in France was sent to Edie’s mother-in-law, who rushed round in distress to blurt out the news without thinking of breaking it gently. He had been blown apart by a shell. There was no body to bury. So profound was the shock that it caused Edie to miscarry, so she did not even have their child to console her. She returned into service and never stopped loving her husband. She went on to live in virtual spinsterhood with her older sister Becky. I’d liken her situation to going into a convent, were it not for the fact that Becky, who never married, sported bright red lipstick till she died. A few years later, Edie, then in her 80s, died still bearing her soldier husband’s name. The decision not to marry or remarry after the Great War was involuntary for many women of Edie’s generation, because there was a serious shortage of eligible young men – the result of so many war deaths. Some women married outside of their peer group. Lily, for example, married a man aged 5 years young than herself, unusual even by today’s standards. Others consigned themselves to remaining single. At least, unlike the young men, they were alive. 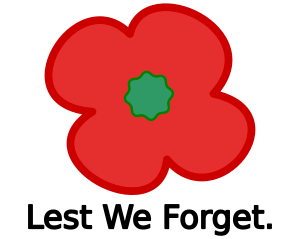 This article was originally written as a contribution to the 1st Hawkesbury Guides’ excellent exhibition in Hawkesbury Upton Village Hall on Remembrance Day 2012. 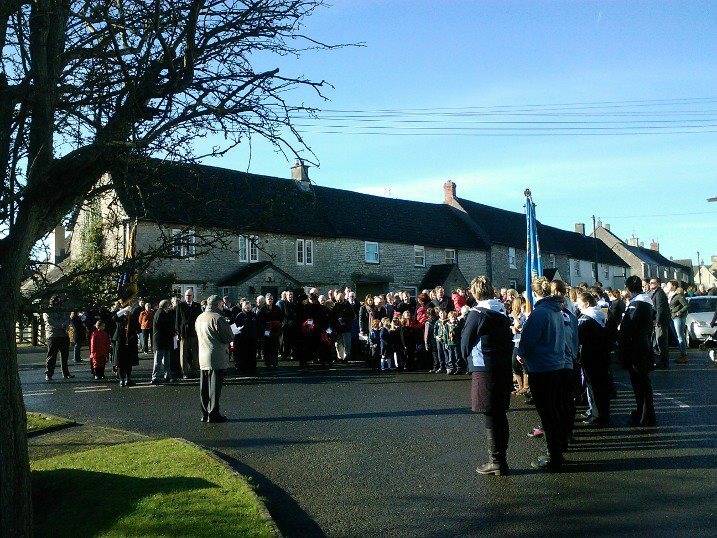 The Guides are pictured on the right of the photo here, along with the many villagers who attended the Remembrance Day service by the village war memorial this morning. Your best yet, probably because it’s so true from the heart. Hope it all ends up in a book some day. If not, someone less qualified might have a go and that would be a shame. You know it makes sense! Got your book… so I reckon you owe me half a promise on above! Oh, bless you, Shaun – that’s a really lovely comment. And do you know, I have recently decided that I’m going to compile my best posts into a book and publish it in 2013. I’ve written over 200 posts since I started this blog and watching them disappear off the screen to be replaced by the latest one is a bit like seeing yesterday’s newspaper being used to wrap fish and chips. 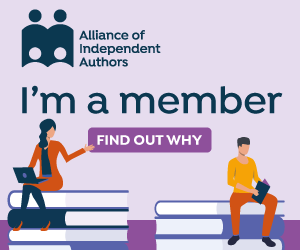 So paperback (and Kindle!) here we come!